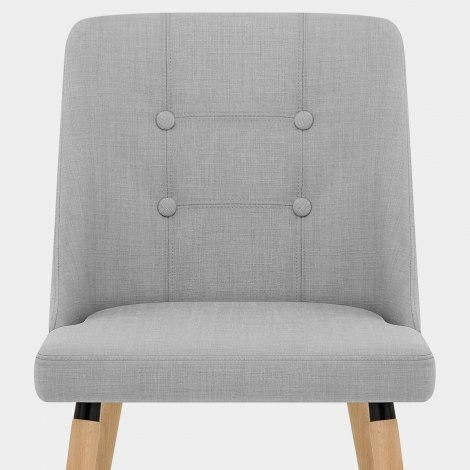 Enhance your dining area with the classic charm of the Appleby Dining Chair Light Grey Fabric, a fashionable and funky chair design. Combining quality contemporary style with plush comfort, the Appleby will surely make a welcome addition to the home. 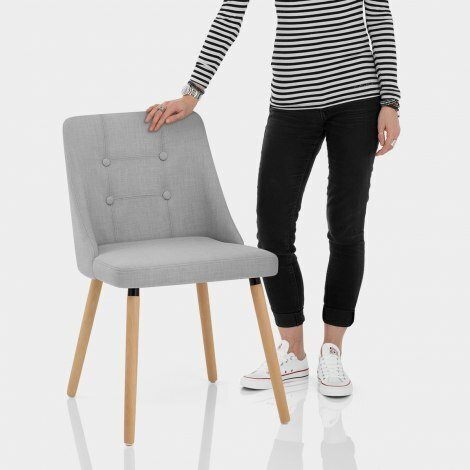 With an ergonomic backrest and stylish button detailing, the padded seat has chic grey fabric upholstery that is sure to complement a modern interior with a neutral colour scheme. Adding to its natural appeal, the four sleek solid wooden legs boast a polished oak finish and form a strong frame. Helping to preserve your floor surfaces, each leg includes a protective plug, so it is suitable for a variety of settings. 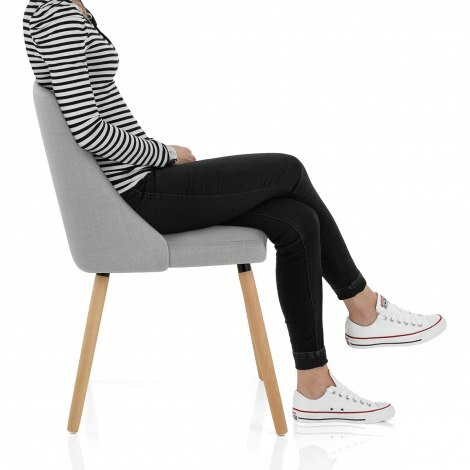 "Very chic and comfortable dining chairs"
Very good staff, nice product , at good price. And good delivery time. We absolutely love our six dining room chairs! Very quick delivery, very easy to assemble, lovely fabric...delighted! Very chic and comfortable dining chairs. Looks great and were easy to assemble. Love my new chairs they are exactly as expected. Fairly easy to put together and comfortable.